Very good disappointment. AMD Ryzen, mostly known for offering CPUs for consumer products, now want to compete with Intel in the business market. The EliteBook 745 G5, based on the very good EliteBook 840 G5, seems to fit the bill - at least on paper. You can read in this detailed review if it is convincing in reality as well! The category of business notebooks has always been dominated by Intel. With the Ryzen CPUs, AMD is preparing to break or at least weaken this dominance. For this purpose, HP is a reliable partner for AMD. After all, the world’s largest computer manufacturer offered an AMD CPU option for their EliteBooks since the beginning of 2016, and was banking on AMD long before Ryzen came out. At a time when most of the AMD laptops were disappointing, the 700 series EliteBooks were one of the few serious options. 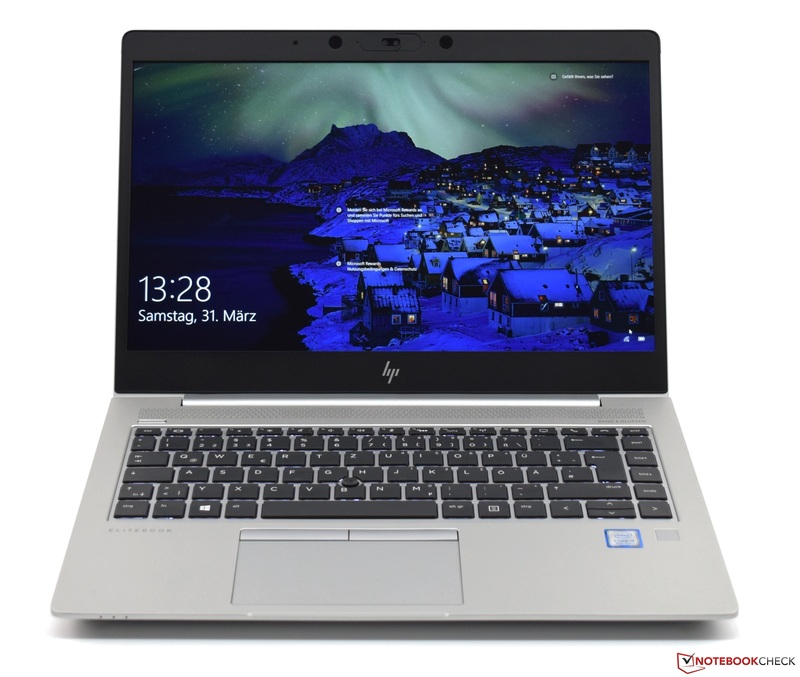 Despite their undoubted quality, the previous models of the AMD EliteBook series deserved only a limited recommendation, because the older AMD CPUs simply were not able to compete. This fact changes with Ryzen, which makes today's review unit very interesting: the EliteBook 745 G5. 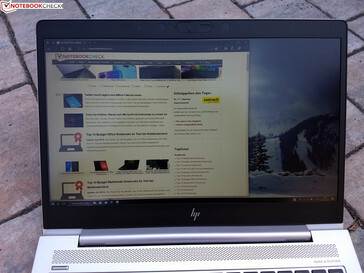 It uses the same case as the HP EliteBook 840 G5, which is why this review is only an update. 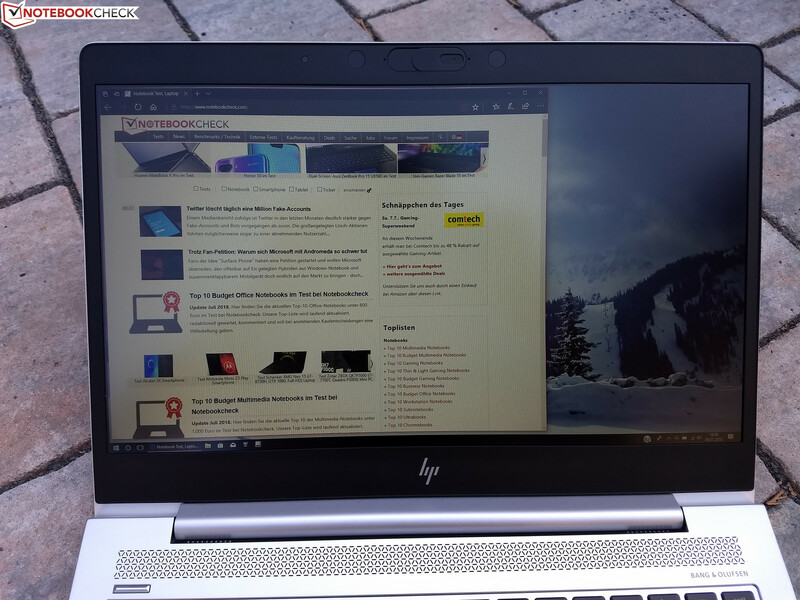 Please read the review of the EliteBook 840 G5 for more information about the case, the features, and the input devices. Direct competitors are the Lenovo ThinkPad A485 and the Dell Latitude 5495. Since we weren't able to test these Ryzen notebooks yet, we compare the EliteBook 745 G5 with the Lenovo ThinkPad T480s, the ThinkPad T480, the Dell Latitude 5490, and the Dell Latitude 7490, and further with the pre-predecessor of our review unit, the HP EliteBook 745 G3. Our review unit has the model number 3UN74EA. It is the top model, which is equipped with a 256 GB SSD, 8 GB of RAM, and the AMD Ryzen 7 2700U CPU. Currently, the lowest price for this configuration is 1,299 Euro (~$1508). 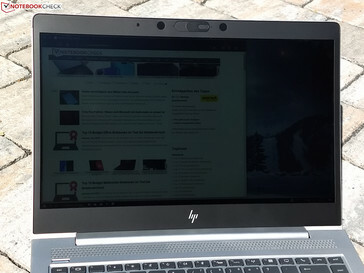 According to the data sheet, HP offers the same display options for the EliteBook 745 G5 as for the EliteBook 840 G5 - with one exception: An Ultra HD or a 4k display (3,840 x 2,160) is not available. This means, that the EliteBook 745 G5 is shipped exclusively with Full HD displays (1,920 x 1,080). However, there are substantial differences in quality according to HP's data sheet: The base model offers a Full HD LCD display with 220 cd/m² and 67% sRGB color space. This panel is matte, but there is a touch version with glossy Gorilla Glass as well. Besides this base display, HP offers a matte Full HD display with 700 cd/m² and HP's SureView technology as well as a Full HD display with 400 cd/m². 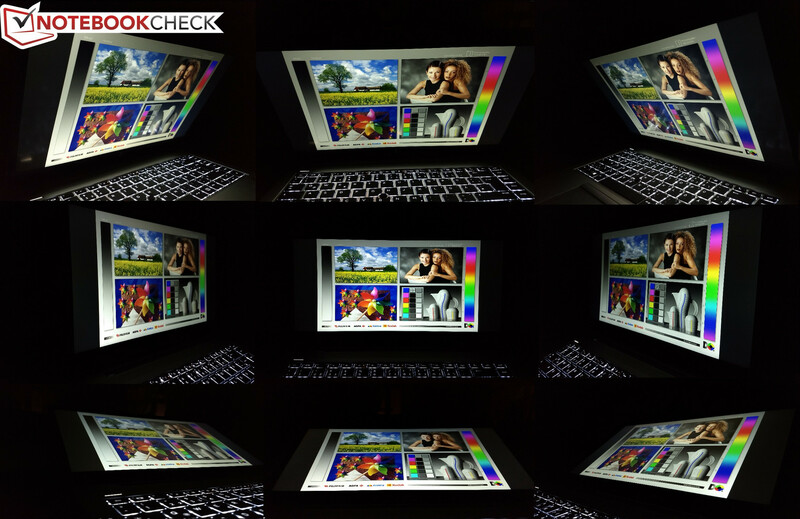 These two panels are matte and do not have any touch option, but, according to the data sheet, they shall cover 100% of the sRGB color space. Our test unit features the Full HD panel with 400 cd/m². We measured an average brightness of 398 cd/m², which confirms this declaration. The LCD panel from the manufacturer AUO is minimally brighter than the panel of the EliteBook 840 G5, which also comes from AUO. With these brightness values, it is the brightest display among the line of competitors. 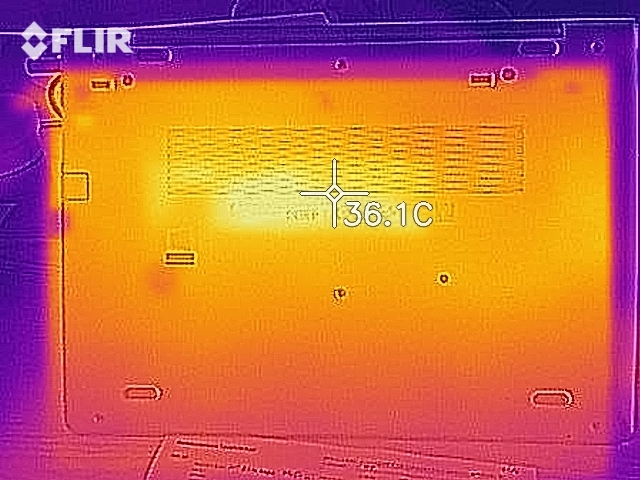 The Latitude 7490 and the ThinkPad T480 have displays whose brightness levels are 100 cd/m² lower. 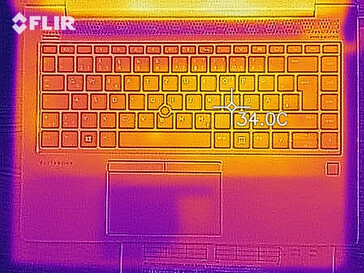 The EliteBook 745 G5 also beats the ThinkPad T480s, which has an average brightness of 343 cd/m². There is no PWM flickering on the display. With 86%, the distribution of brightness is quite consistent. On the other hand, we notice some backlight bleeding, which can be bothersome for dark screen content. The subjective image quality is excellent, due to an outstanding contrast ratio of 1559:1. However, the high contrast ratio is not the result of the black level, which is only average (0.27 cd/m²). This is beneficial for brighter screen content since the backlight bleeding is a little bothersome for dark screen content. 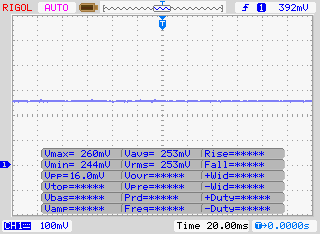 We were able to calibrate the LCD fairly well, yet the result is not perfect. Even after calibration, there are smaller divergences, as you can see in the related ICC profile. 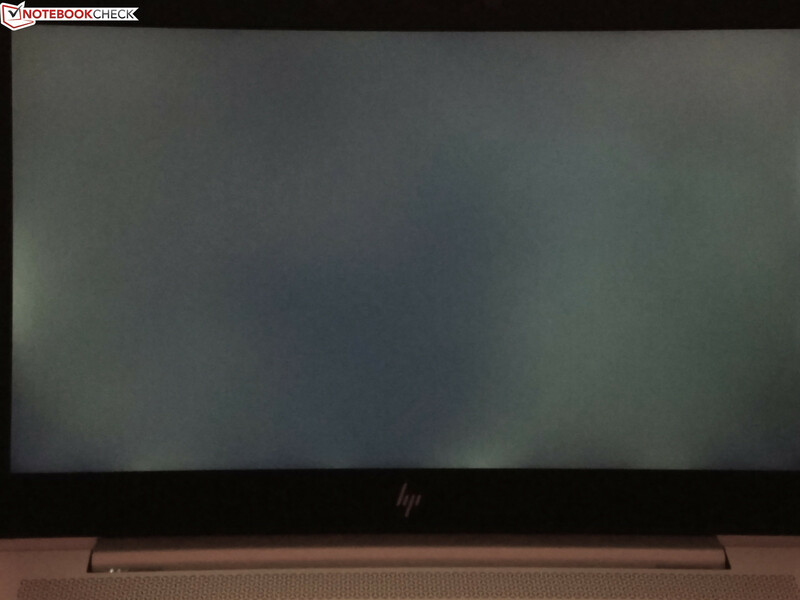 HP promises a coverage of 100% sRGB for this display. Unfortunately, we are unable to confirm that. In fact, the measured 87% is not abysmal, but also not sufficient for semi-professional image editing. In this respect, the Lenovo ThinkPad T480s with QHD display (2,560 x 1,440) and the Dell Latitude 7490 with Full HD display are substantially better. The matte panel in combination with the brightness of nearly 400 cd/m² provides a satisfactory outdoor usability, even in the sun - but only with indirect exposure. 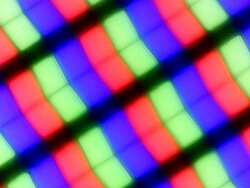 The brightness of the LED backlight is not sufficient, if the sun is shining directly on the display. 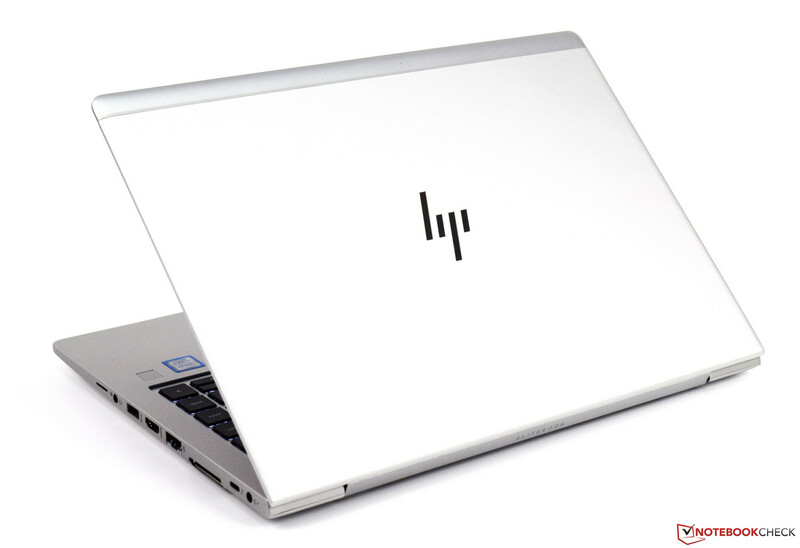 Every display option of the HP EliteBook 745 G5 features an IPS panel. Consequently, it offers wide and comfortable viewing angles. 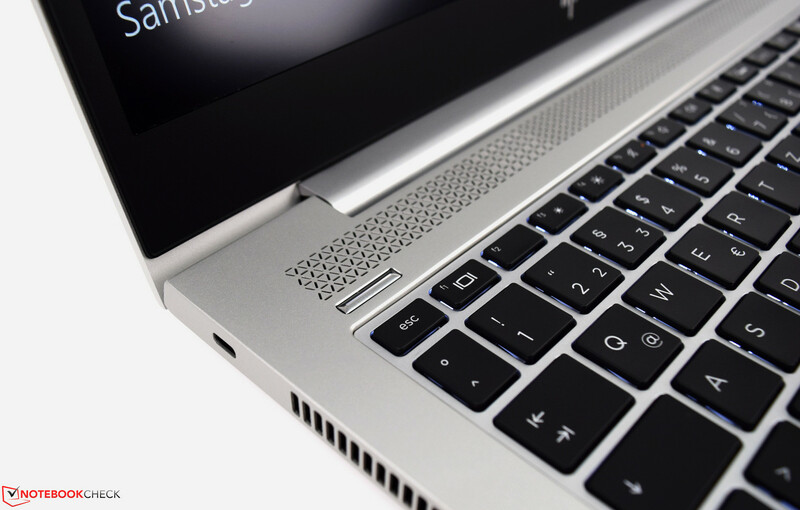 Currently, there are three different configurations of the EliteBook 745 G5 on the market. The differences are not huge. The most important difference is the CPU: Only the most expensive model, which we tested for this review, features the AMD Ryzen 7 2700U CPU and the AMD Radeon RX Vega 10 GPU, respectively. The other two models are equipped with the lower tier AMD Ryzen 5 2500U CPU, accompanied by an AMD RX Radeon Vega 8 GPU. All the models come with at least a 256 GB SSD and 8 GB DDR4-2400 RAM (one of the two RAM slots is free, you can install a maximum of 32 GB RAM). 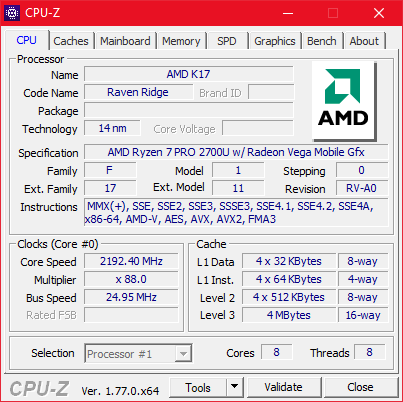 The AMD Ryzen 7 2700U is a Quad-Core processor of the Ryzen Mobile series, once known by the codename "Raven Ridge". 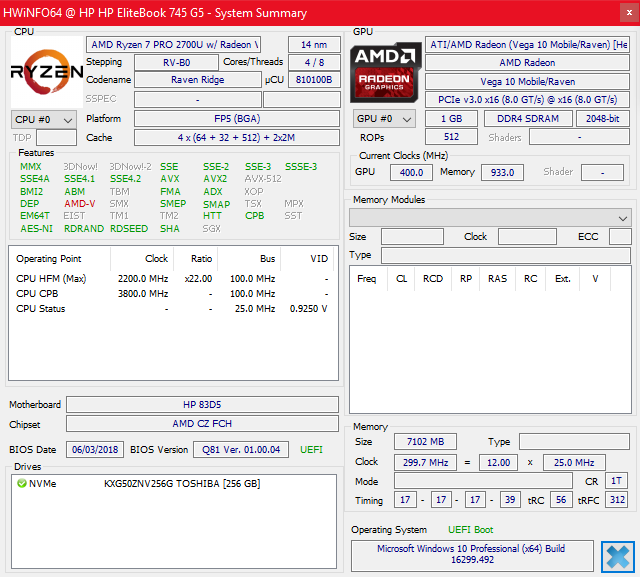 Its four Zen based cores are running at 2.2 GHz with a boost performance of up to 3.8 GHz. 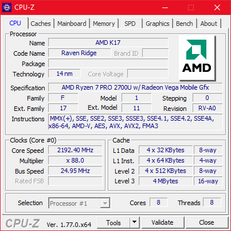 The TDP ranges between 12 W and 25 W - typically 15 W. The Ryzen 7 2700U is the fastest Ryzen Mobile processor on the market (as of July 2018). You can compare the CPU with other AMD and Intel CPUs using our CPU comparison table. HP sets conservative performance limits, which is presumably aiming primarily for low temperatures. Therefore, the manufacturer chose the lowest TDP setting: The CPU is able to operate using 13.5 W for a few seconds to provide the performance boost. After that, the power consumption decreases to 12 W. Meanwhile, the frequencies range between 3.2 GHz (performance boost) and 2.9 GHz. 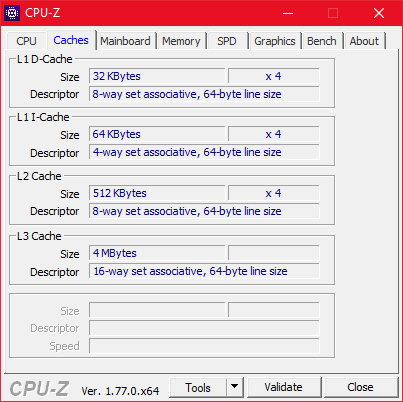 But even 12 W seem to be too much in the long run since the power consumption is being reduced to 8 W after four minutes of our 30-minute Cinebench test. 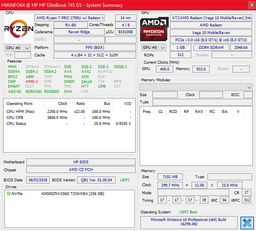 Therefore, the CPU is running at 2.5 GHz, which is still higher than the base frequency. The comparison with the EliteBook 840 G5 is particularly interesting because it is basically the same notebook with different components. 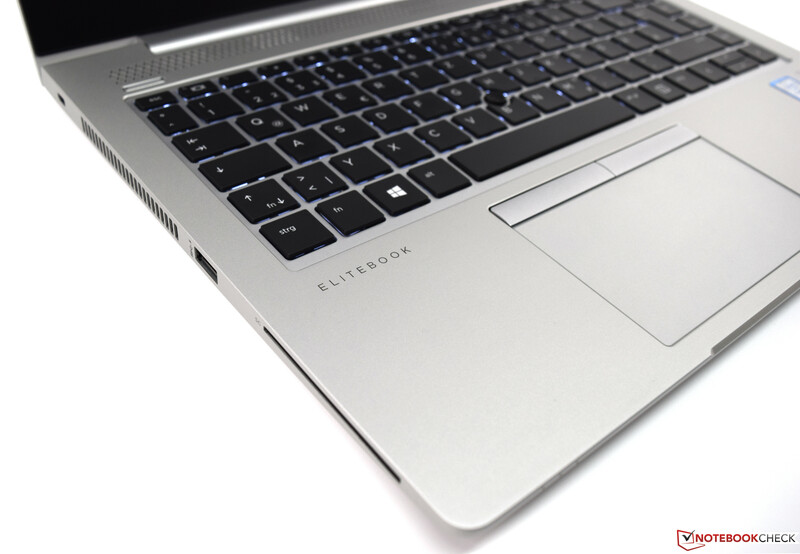 The EliteBook 745 G5 outpaces his Intel counterpart, which features a Core i7-8550U CPU, in terms of multi-core performance - but only during the performance boost. After four minutes in the test, the frequency decreases and the performance drops to the level of the Intel notebook. While the EliteBook 840 G5 is beaten to some extent in terms of multi-core performance, the EliteBook 745 G5 has to surrender to the ThinkPad T480s and the ThinkPad T480. Lenovo allows a much higher power consumption for the Intel CPUs. Furthermore, the i7 CPUs have a much higher single-core performance. For example, the ThinkPad T480 is 13% faster and the EliteBook 840 G5 with i7-8550U CPU is even 17% faster. At least, the old EliteBook 745 G3 is outclassed at single-core as well as multi-core performance. This demonstrates the progress of AMD’s CPU technology during the past two years. As with all current EliteBooks, the CPU performance is throttled out of the box during battery operation. Instead of a maximum of 630 points, we reached only 535 points in the multi-core test. Unlike with the Intel EliteBooks, we could not find any BIOS option to turn off the performance throttling. Even though the EliteBook 745 G5 reaches the lowest scores of the competing devices in the PCMark benchmarks, the difference is usually only a few percentage points. The system performance was always impeccable during day-to-day usage. 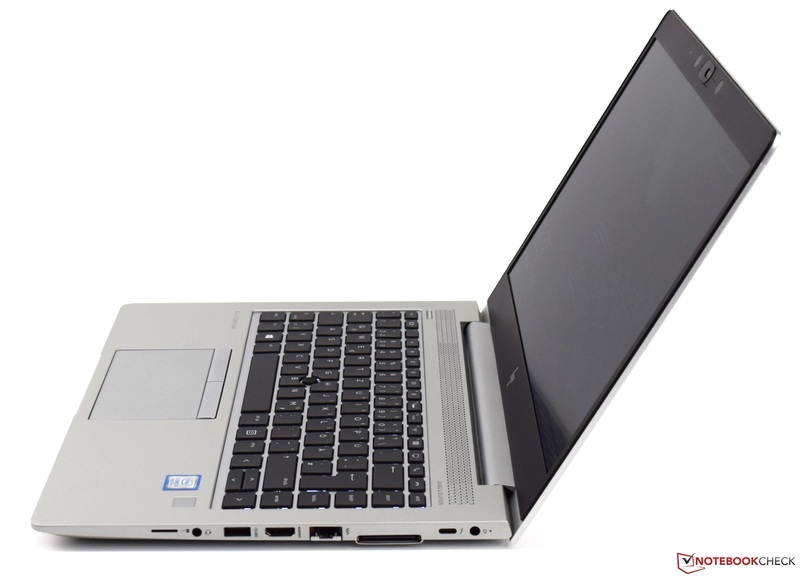 All the 14-inch 745 G5 and 840 G5 EliteBooks that we were able to test, were equipped with the Toshiba XG5 M.2-2280-SSD. In the case of the EliteBook 745 G5, the SSD offers a capacity of 256 GB. In principle, the XG5 is not a slow SSD, however, it is not very fast for a PCIe-NVME-SSD. 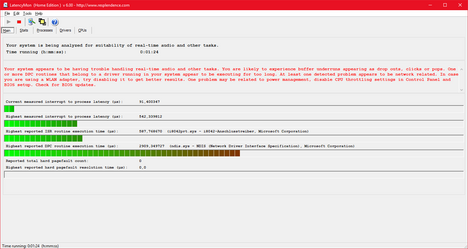 This is shown by the comparison to the Samsung PM981, which we could test in the ThinkPad T480s and T480 notebooks. During day-to-day use, the differences should not be noticeable most of the time. 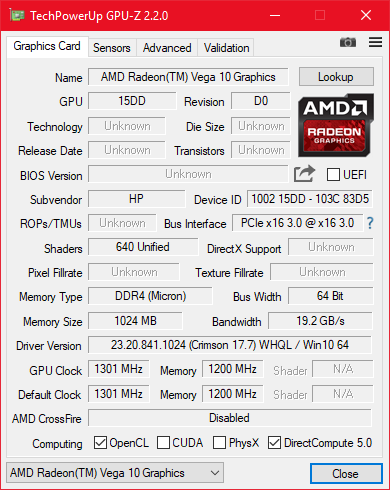 The AMD Radeon RX Vega 10 is an integrated GPU. It features 640 shader units with a maximum frequency of 1,301 MHz. This should deliver a much higher graphics performance compared to Intel's GPU solutions, such as the Intel UHD Graphics 620. You can compare the GPU with others using our GPU-benchmark table. 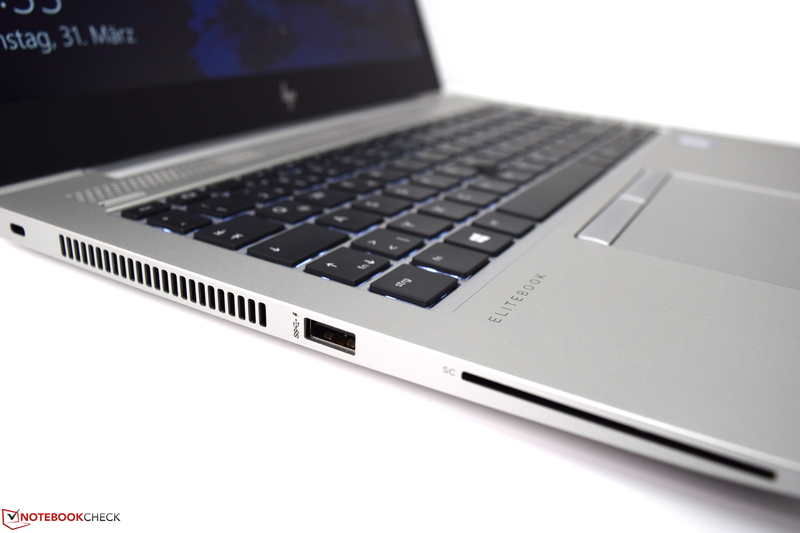 Unfortunately, the graphics chip of the EliteBook 745 G5 is far from its maximum potential. The Acer Swift 3, whose GPU is 35% faster, is showing the actual possibilities of the Radeon RX Vega 10 GPU. 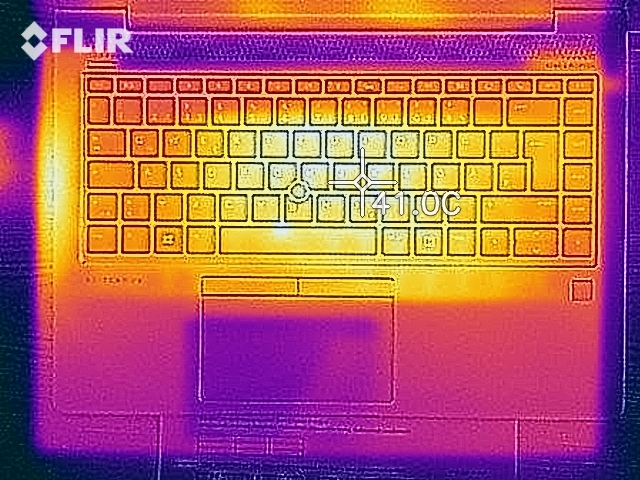 This laptop almost reaches the MaxQ-GeForce-MX150 in the ThinkPad T480s. The EliteBook 745 G5, however, can clearly outpace the integrated Intel GPUs, although its performance cannot compete with the GeForce MX150. There are two reasons for this disappointing performance. First, the RAM is running in single-channel mode, because HP installs only one RAM module. This is compromising the GPU performance since the GPU has to use the main memory due to the lack of dedicated graphics memory. At least, you can fix this by installing a second RAM module. Second, the GPU never reaches its maximum frequency - we measured a maximum of 812 MHz. Presumably, this can be led back to the restrictive temperature and TDP settings. We were unable to notice a reduced GPU performance during battery operation. According to the benchmark results, the gaming performance of the AMD Radeon RX Vega 10 in the EliteBook 745 G5 is substantially better than the gaming performance of Intel's comparable GPU solutions. Over all, the possibility to play games is still not great. The GeForce MX150 in the ThinkPad T480s offers significantly better performance, although it features the slower MaxQ version of the GPU. You can play new games only with notably reduced resolution and details on the EliteBook 745 G5. The EliteBook is completely silent when idle and during minimal load scenarios. The fans remain completely off. 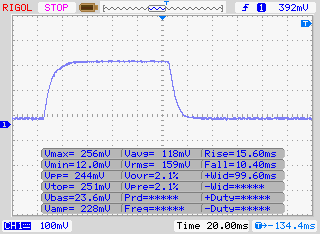 Under load, however, the fan is hitting 36 dB(A). It does not matter here if it is under low or maximum load. 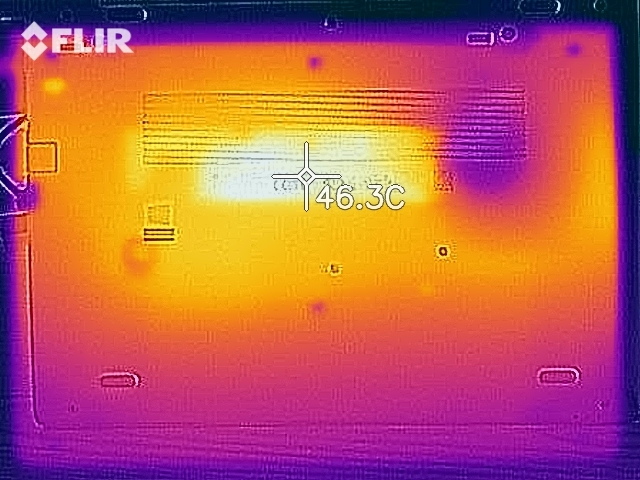 Once the fan is running, you can hear it quite well. Fortunately, we could not notice any static. 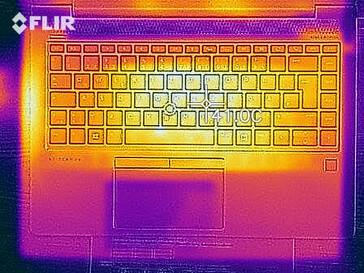 Even under heavy load, the EliteBook's temperature stays below 40 °C (104 °F), which is why the surface temperatures are entirely uncritical. 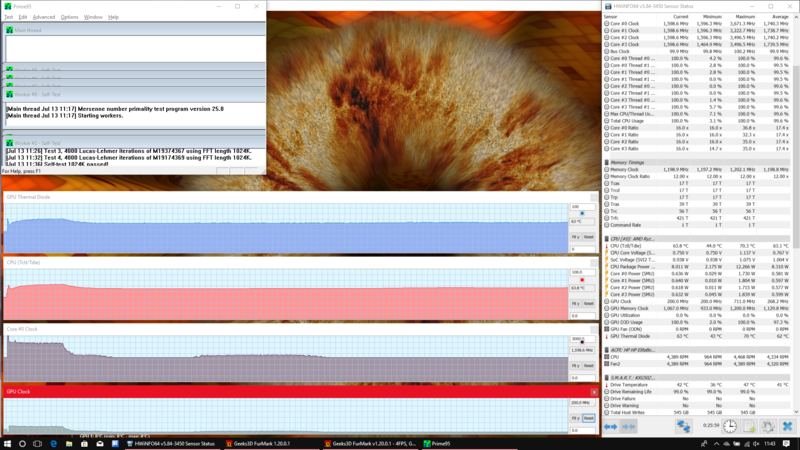 Admittedly, this compromises the performance: The notebook is running at 2.6 GHz CPU frequency for four minutes in our stress test with Prime95 and FurMark, while the GPU frequency stays at approximately 650 MHz. Temperatures are reaching a maximum of 70 °C (158 °F) after four minutes. Clock speeds decrease at this point. 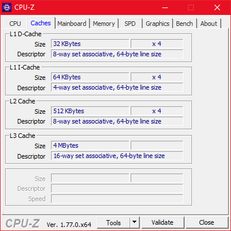 The CPU frequency is only 1.6 GHz, while the iGPU is running only at 200 MHz. At these clock speeds, the power consumption of the CPU and GPU is 8 W and temperatures are reaching only 63 °C (145.4 °F). 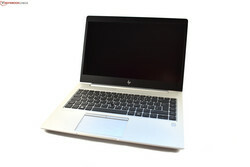 HP is using an aggressive power management for keeping the temperatures low. This leads to a thermally induced throttling of the CPU and GPU. This does not mean that you are experiencing throttling all the time during day-to-day use, since the 3DMark11 benchmark, which we ran directly after the stress test, achieved a normal result. 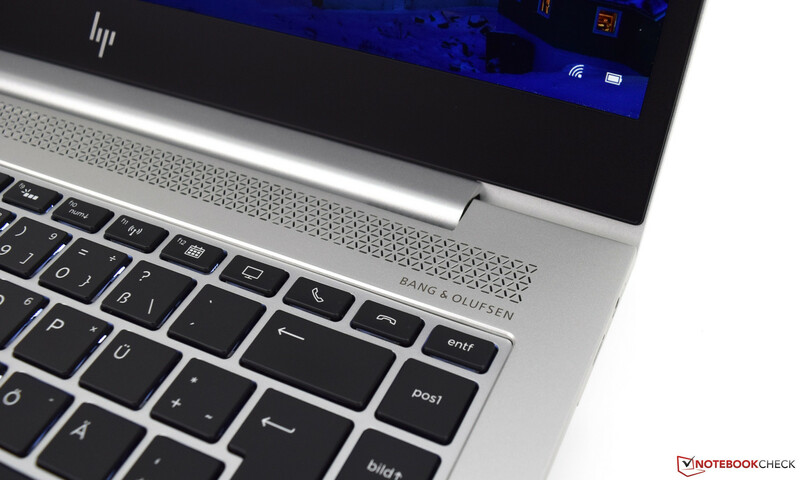 On the surface, the EliteBook 745 G5 has the same audio equipment as its Intel counterpart: Bang&Olufsen stereo speakers, which are directed upwards. 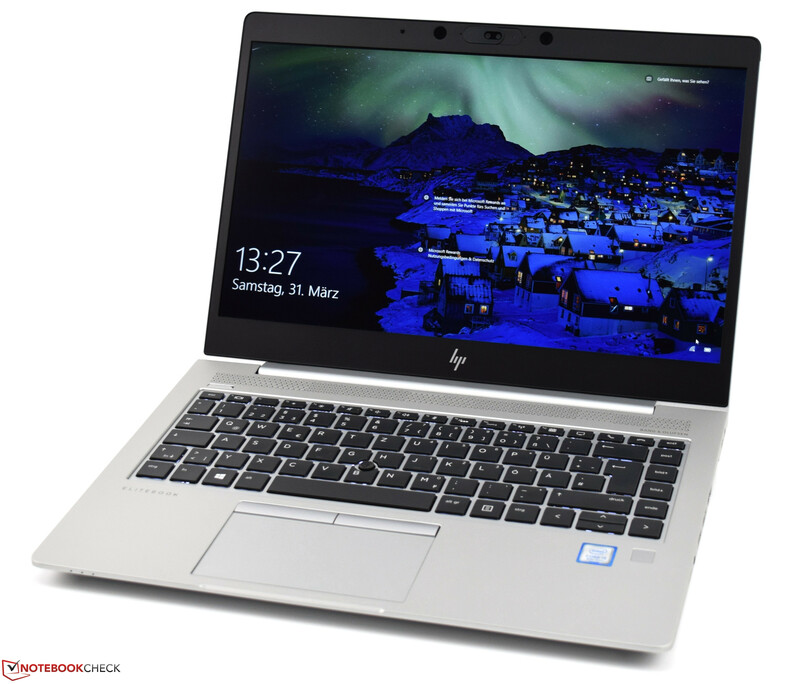 However, the sound analysis shows that HP installed different speakers in the respective laptops, to the disadvantage of the AMD model. The speakers of the EliteBooks 840 G5 are louder and reproduce a more balanced sound. We recommend external speakers or headphones, which can be connected using the 3.5 mm headphone jack. The headphone jack worked perfectly well. Older AMD systems often struggled with a higher power consumption in the past, despite their lower performance. The power consumption decreased by 26% on average compared to the EliteBook 745 G3, but compared to current Intel systems, the EliteBook 745 G5 still performs badly. This is particularly the case for the idle values: while the competitors with Intel CPUs have a minimal consumption between 2 and 3.6 W, the EliteBook 745 G5 is always consuming at least 4.9 W. The average and maximal idle values are higher as well. However, the AMD EliteBook is very energy saving under load. 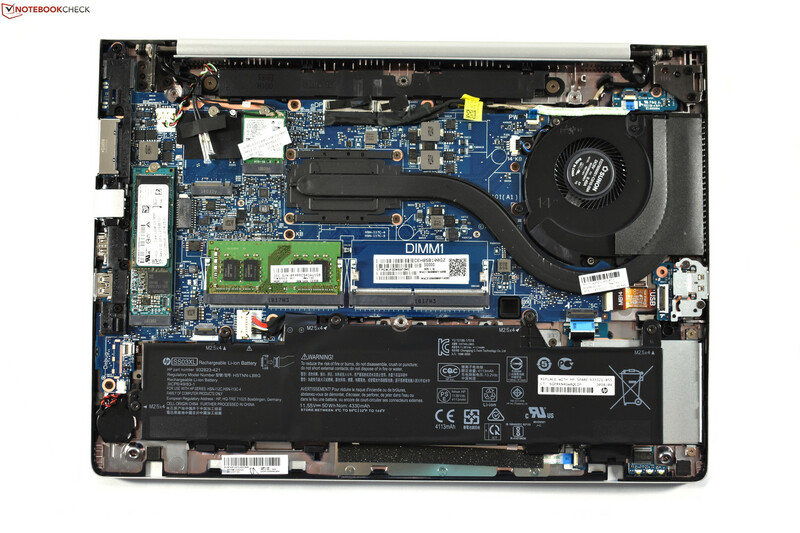 The 45 W power supply is adequate for the maximal power consumption of 42.3 W.
HP equips its EliteBook 745 G5 with the same integrated 50 Wh lithium-ion battery as the EliteBook 840 G5. This leads to a worse battery life because of the higher power consumption of the AMD device. The battery life in our Wi-Fi test is one hour less. 6.5 hours of battery life are not abysmal, but also not really good. All the competitors from Lenovo and Dell have a larger battery and are more energy efficient when idle, which results in a much longer battery life during the Wi-Fi test. The Lenovo ThinkPad T480s for example reaches the mark of nine hours, and so does the Dell Latitude 7490. It took us 132 minutes to fully charge the EliteBook 745 G5. At the time of writing the verdict, the HP EliteBook 840 G5 was the best device in our rankings. Built on this very good foundation, an EliteBook 745 G5 with AMD CPUs sounds quite promising! The advantages of the EliteBook 745 G5 are mostly the same as its Intel counterpart: It has a fancy and sturdy metal case with comfortable input devices and a very bright display. 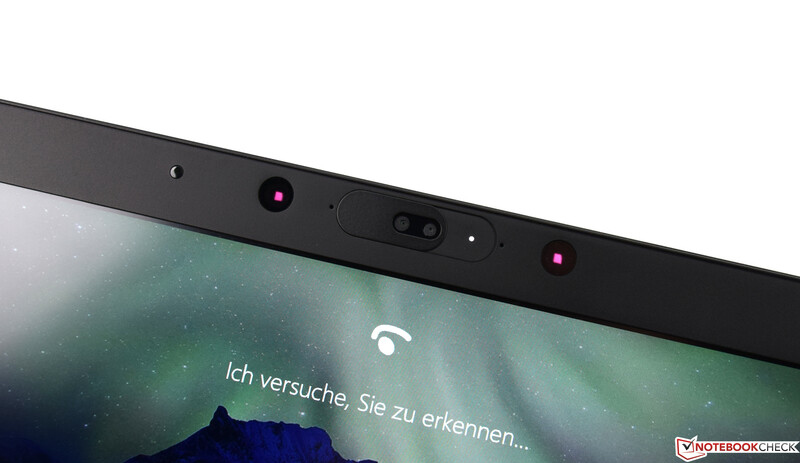 It is equipped with some fundamental ports and security features. As its sister version with Intel processor, the EliteBook 745 G5 stays cool even under load, and is completely silent when idle. Furthermore, it comes with a warranty of 36 months. However, there are disadvantages as well: the SSD is not really fast for a PCIe-NVMe-SSD, and an SD card reader is missing completely. Despite the good foundation, the EliteBook 745 G5 cannot reach the scores of the EliteBook 840 G5. 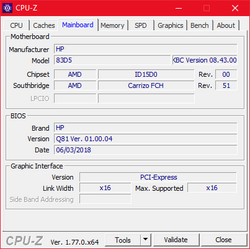 The AMD CPU is curse and blessing at the same time. It delivers a significantly higher boost performance, but its performance drops to the level of the Intel notebook after four minutes. 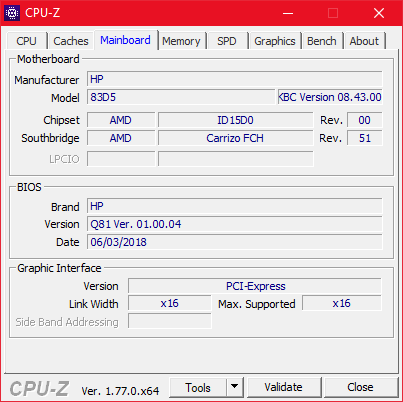 The GPU performance of the iGPU is certainly higher than the Intel EliteBook's performance, but significantly lower than it could be - it does not really supersede dedicated GPUs. 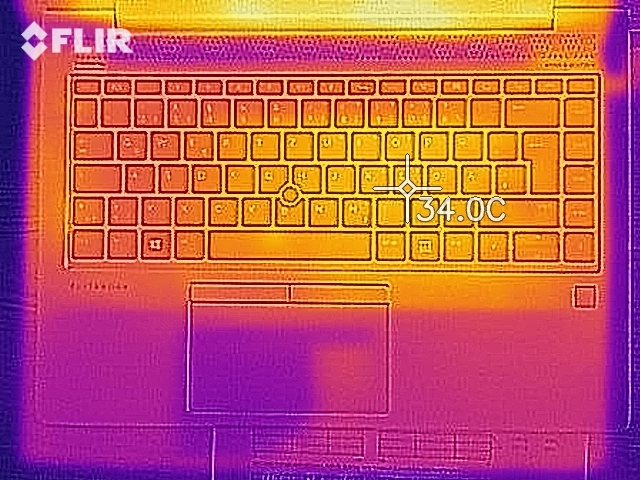 This originates mainly from HP's restrictive temperature management: the thermal capacities are not maxed out as you can see from the low surface temperatures, and nevertheless, HP is throttling the CPU as well as the GPU. The power consumption when idle (and under minimal load) is still higher than the one of the Intel notebook, which results in even shorter battery life. 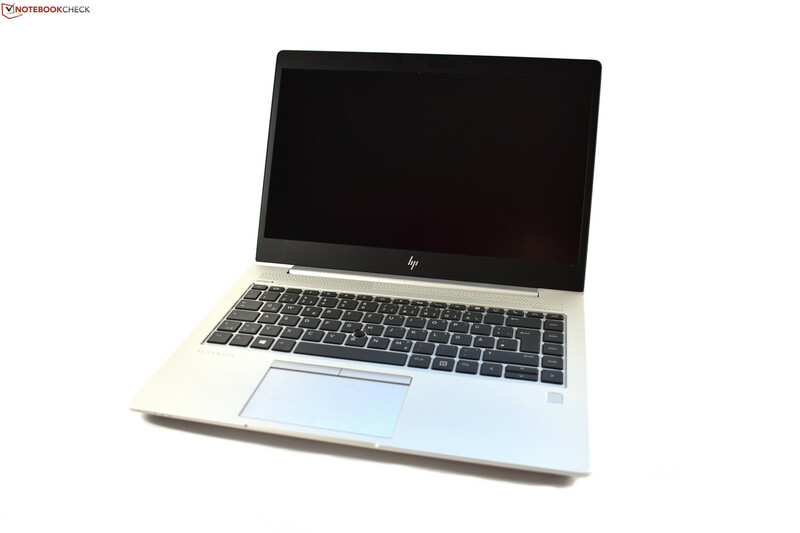 Furthermore, HP needlessly restricts the configuration possibilities. The EliteBook 745 G5 has no 4K display (3,820 x 2,160) option. Unlike the EliteBook 840 G5, it does not have any Thunderbolt 3 port, and the CPU is being throttled all the time during battery operation. The fact that the display does not reach the promised 100% sRGB coverage is a bummer as well. 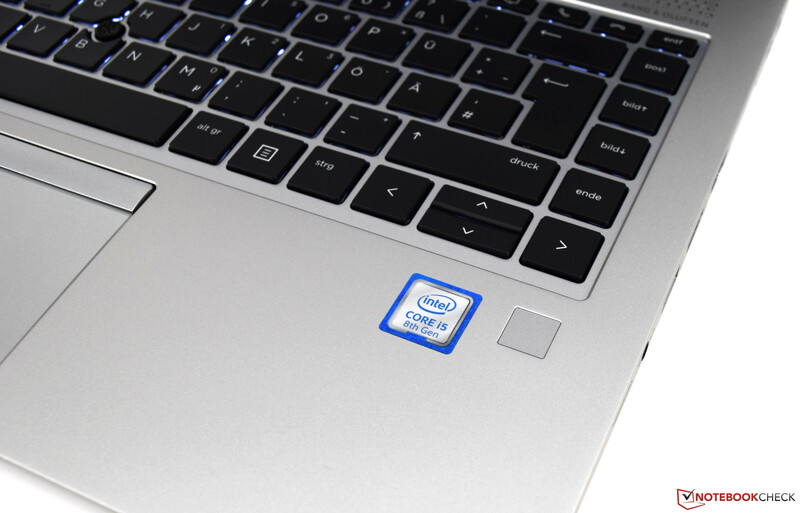 Sometimes very good is not enough: The Intel laptop EliteBook 840 G5 delivers a much more complete package over all, than its AMD counterpart. 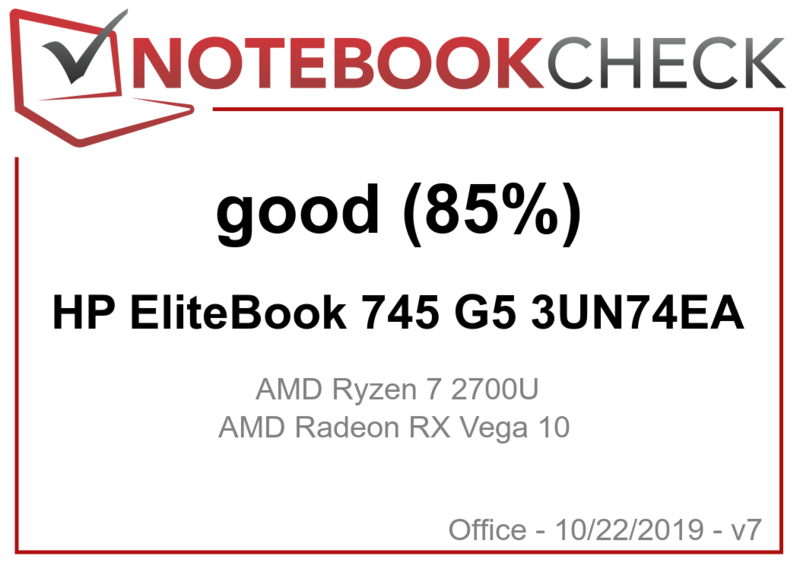 The EliteBook 745 G5 still gets a recommendation as well as the score "Very good". However, we recommend it only on condition that you are avoiding Intel computers categorically. Apart from that, you should rather consider the HP EliteBook 840 G5, the Lenovo ThinkPad T480s or the Dell Latitude 7490, depending on your manufacturer, design, and feature preferences. Their battery life is longer, and, if you need more graphics performance, a laptop with a dedicated GPU is more worth it than the EliteBook 745 G5.